EDITORS NOTE: Two years ago I co-founded SMALLCAP DISCOVERIES with editor Paul Andreola–and he has built a great franchise there, with several multi-baggers while I stay focused on energy. I’m excited to introduce a third letter–this one focused on cryptocurrency (bitcoin, ethereum etc), led by my colleague Ross Pilot–it’s the New Currency Frontier at www.newcurrencyfrontier.com. Ross researches and invests in major currencies, coins, and many other things I don’t understand (and never will). But I have known Ross for 20 years. With China getting (very) serious about restricting Bitcoin miners in that country, we will see a continued trend towards cryptocurrency mining in the West, particularly North America, in areas with low electricity costs. I wrote about this big new trend in my latest story, which you can read HERE. One of the bottom lines from this is–we will see a lot more cryptocurrency stocks in the public markets. Especially if they jump out of the gate like HIVE Blockchain (HIVE-TSXv). HIVE debuted on the TSX venture exchange on September 18th and trading for most of the day in the mid-eighty cent range. I wrote about HIVE the day before listing here telling readers at the time I would be a big buyer of the stock if it opened in the 70-80 cent range. Well, it did, and today, a month later, it closed at $3.01. Another cryptocurrency company listed is Global Blockchain Technology Group (BLOC-TSXv). You could have bought their shares for under a dollar in the last week of September. It closed today at $2.61. I’m convinced we are at the very beginning – the first inning – of the cryptocurrency boom for the junior public market. I am aware of two other high-quality cryptocurrency companies that will go public before the end of the year and I will give advance notice to my readers as to when they begin trading, on my free newsletter The New Currency Frontier. Investors jumping on the bandwagon early stand to make enormous profits as the first-movers and early-adopters stake out their grounds. There is lot to learn but EVERYBODY is trying to climb the learning curve right now. Above all, watch out for the ‘stone-skippers’. You know when you take a flat stone and skip it across the water? That’s what I see a lot when I read stories about Bitcoin and Ethereum. The writer skips stones across the water, trying real hard not dive below the water and explore the issue. And I just want to skip that stone across the water so I can get the story out and go have some dinner. Otherwise it’s an half-hour of research and hair-pulling of trying to get a two-pages essay down to two paragraphs. And I began to invest in Bitcoin over the next six months. I made enough money that I took the kids to Disneyland with the profits. Then I lost interest like so many other investors. You see, I believed the hype. Not THAT hype. The other “story” out there–that Bitcoin was a “bubble” and was going to burst. I believed it when my friends decided to put upon themselves to give me wise counsel and stop gambling with this “fake” digital money. I took the savings of my oldest son and bought one and a half bitcoins when it was $700. I told him we would cash it in when he went to college. But I chickened out and sold it a year later. My son is in Grade 10. I owe him approximately 00USD. Almost four years later I decided to get back in the game. Last May I started buying Ethereum. Ethereum (or “Ether”) is #2 digital currency in the world behind only Bitcoin. Bitcoin has a market cap of $92 billion while Ethereum has a market cap of $33 billion. 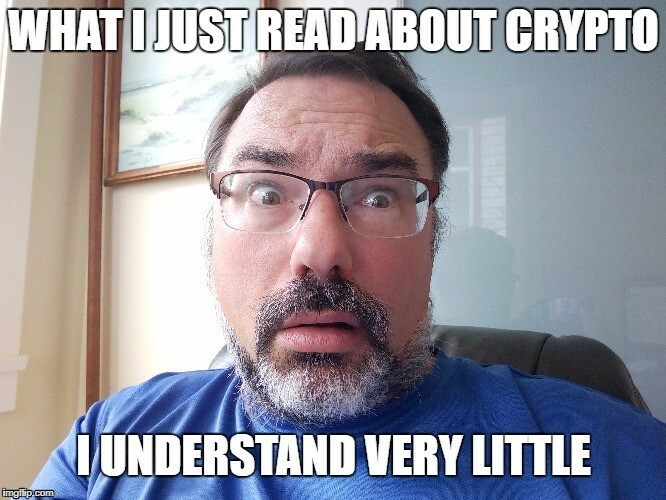 I could not buy all the Ethereum that I wanted as the crypto- exchanges froze up with all the money flooding in and could barely process bank wires in two weeks time. But I managed to double my money in a few months, then it tripled. While that was happening, I was nagging Keith that we should start up a cryptocurrency newsletter. Things have changed in the cryptocurrency world. It’s not just Bitcoin and Litecoin like it was back in 2013. There are hundreds of coins now and dozens of exchanges. And every coin has a story behind it. Ever hear of Tether? It’s a digital coin tied to the American dollar. One tether = one American greenback. Overseas crypto-exchanges who don’t have the licenses to transfer or transact in US dollars use Tether to settle accounts instead. Just like that, the current financial regulations of the Western world are circumvented and turned upside down. It takes hours of research to understand the story behind every digital coin or token and big news comes out every month, if not every week. Not being a master of compression, and having the limited space which Keith has graciously offered, I can only offer to link to the stories I have posted on our investment newsletter, The New Currency Frontier. There are lot of stories on the internet that says they explain why is a Bitcoin but I wanted to give it a try myself. The topic of cryptocurrency mining in general is difficult to grasp at first but you need to understand even just a little bit or you will be seriously handicapped in evaluating future blockchain deals. Another hot topic is initial coin offerings. I have written many articles on ICOs but I want to draw attention to two right here: Initial Coin Offerings: The Results are In and How a Blind Squirrel Made a 714% Return where I share how I do my research on ICOs. These articles go on to point out that Bitcoin can’t be used for anything, but that is not exactly true, as I point in my last two articles: Bitcoin is Hot but it is as Cool as Vegas and Why Will Bitcoin Succeed? How About Saving 0 billion in Bank Fees? Now if you read my articles, and find other good articles on the internet (you have to look in some unusual places, Google is your friend in this), I’m pretty sure you will agree with me (eventually), that cryptocurrency looks exciting, possibly rewarding, definitely risky and worthy of more study. Can you make money with cryptocurrencies? My personal experience is yes you can. Can you lose money? Absolutely. And I will be sharing my lessons with you on each trade. For example, I have lost the most amount of money, literally millions, by walking away from the table, by “quitting” while I was ahead. I won’t make that mistake near as often–because I think we are just in th first innings of cryptocurrencies and crypto stocks. Previous post: What Is The Most Important Factor For 2018 Oil Price?